No question about it, 2018 was a year to forget for emerging market investors. The space was hit hard by concerns over tariffs, trade wars, and general political instability. However, it is important to keep this rough year in perspective. 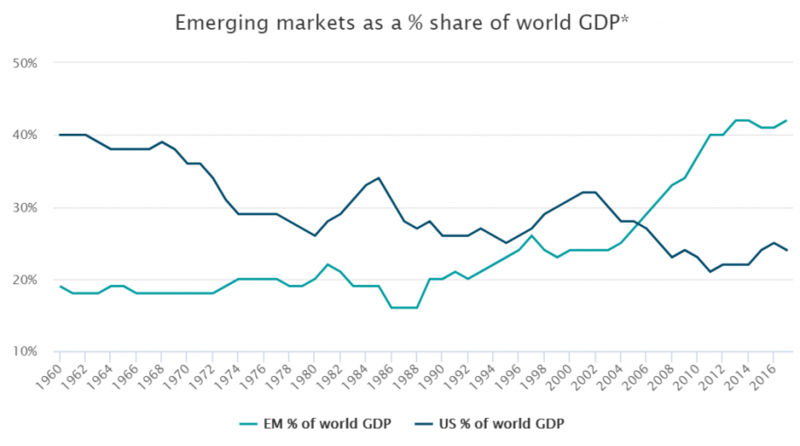 Emerging markets easily crushed their American counterparts in 2017 and have been extremely strong when considering long time frames such as since the beginning of the millennium. So why such a high level of panic this time around? 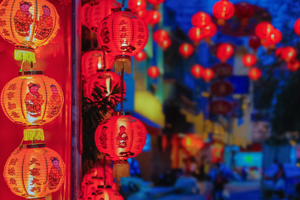 Some investors seem to be forgoing any exposure at all to the space, willing to write off a good portion of the global population from an investment perspective because of one bad year. One would rarely—if ever—see this type of thinking applied to American markets. So, why the concern to the point of abandonment for emerging markets? It could be because most investors recognize that the U.S. market is absolutely crucial to building a diversified portfolio. Even with a rough stretch here and there, a portfolio would easily be incomplete without U.S. large cap exposure. But in many investors’ minds, the same can’t be said for emerging markets. I would argue, however, that this line of thinking is incorrect, at least if you consider how massive emerging markets have become and how vital they are to the global growth story. The surging importance of emerging markets can be shown by with a single chart. 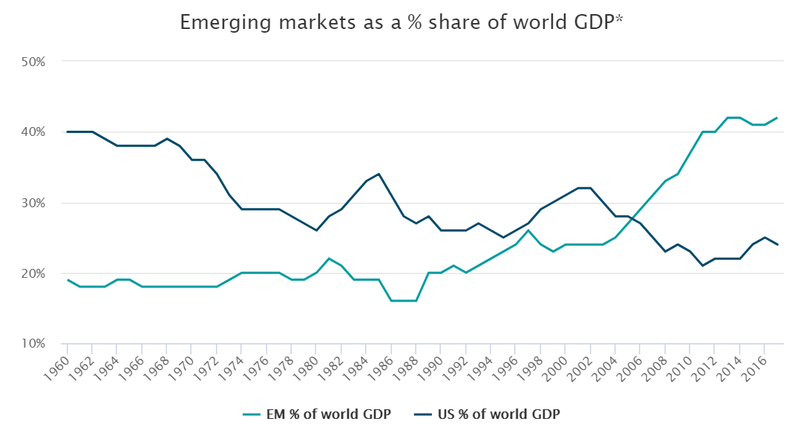 Below, emerging markets as a share of world GDP are shown vs. the same measurement for the U.S. market over the past 60 years. *Gross domestic product (GDP) as defined by current prices. GDP based on purchasing power parity (PPP) would put EM & developing economies (as defined by the International Monetary Fund (IMF)) at 59% of world vs. 15% for the U.S. Source: IMF as of October 2018 (latest available).